President Tayyip Erdogan declared victory in a referendum on Sunday to grant him sweeping powers in the biggest overhaul of modern Turkish politics, but opponents said the vote was marred by irregularities and they would challenge its result. Turkey's mainly Kurdish southeast and its three main cities, including the capital Ankara and the largest city Istanbul, looked set to vote "No" after a bitter and divisive campaign. Erdogan said 25 million people had supported the proposal to replace Turkey's parliamentary system with an all-powerful presidency, giving the "Yes" camp 51.5 percent of the vote. "For the first time in the history of the Republic, we are changing our ruling system through civil politics," Erdogan said, referring to the military coups which marred Turkish politics for decades. "That is why it is very significant." 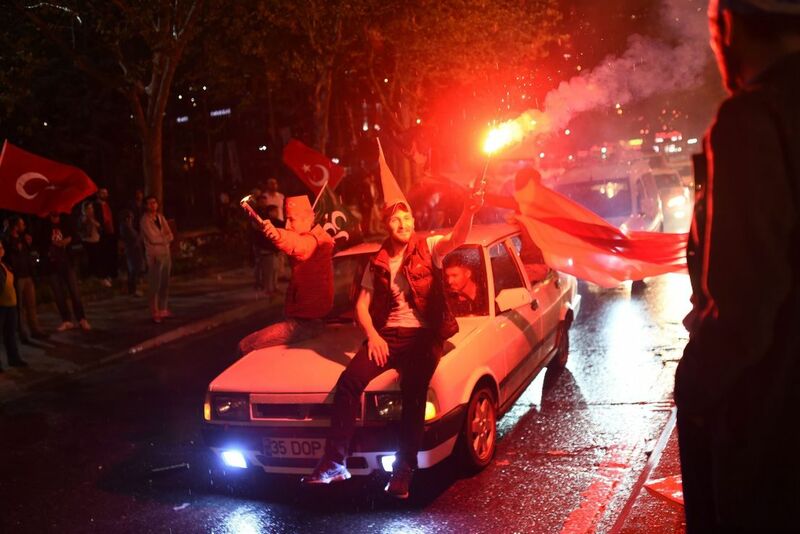 In Ankara, where Prime Minister Binali Yildirim addressed cheering supporters, convoys of cars honking horns clogged a main avenue as they headed towards the AK Party's headquarters, their passengers waving flags from the windows. But the head of the main opposition Republican People's Party (CHP), Kemal Kilicdaroglu, said the legitimacy of the referendum was open to question and those who supported a "Yes" vote may have gone beyond the boundaries of the law. The party earlier said it would demand a recount of up to 60 percent of the votes after Turkey's High Electoral Board (YSK) announced it would count ballots which had not been stamped by its officials as valid unless they could be proved fraudulent. Kilicdaroglu has accused Erdogan of seeking a "one-man regime", and said the proposed changes would put the country in danger. 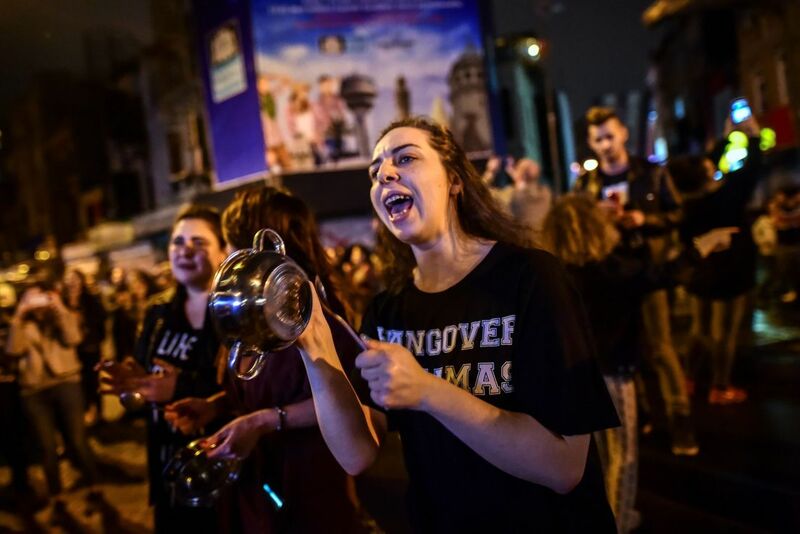 In some affluent neighbourhoods in Istanbul, people took to the streets in protest while others banged pots and pans at home - a sign of dissent that was widespread during anti-Erdogan protests in 2013. 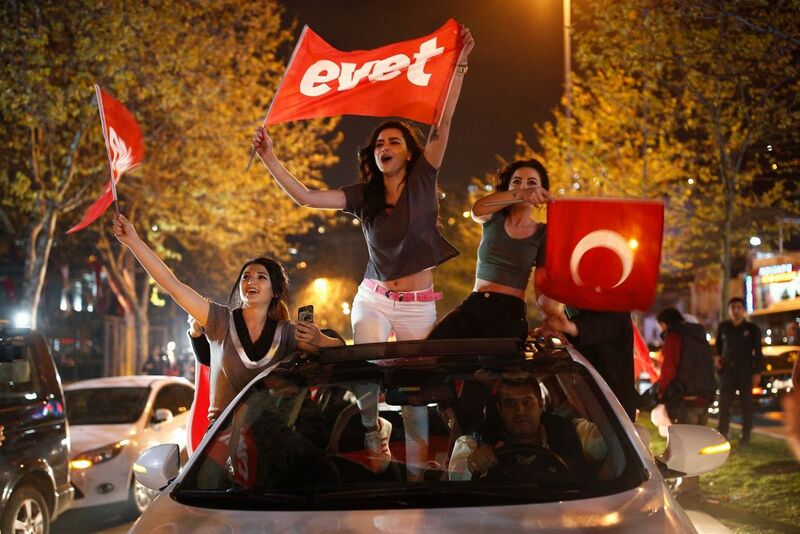 If a "yes" victory is officially announced by the country's electoral board, Turkish voters will have approved 18 constitutional changes that will replace their country's parliamentary system of government with a presidential one, abolishing the office of the prime minister and granting sweeping executive powers to the president. The changes will come into effect with the next general election, scheduled for 2019. The changes allow the president to appoint ministers, senior government officials and half the members of Turkey's highest judicial body, as well as to issue decrees and declare states of emergency. They set a limit of two five-year terms for presidents and also allow the president to remain at the helm of a political party. Erdogan and his supporters had argued the "Turkish-style" presidential system would bring stability and prosperity in a country rattled by a failed coup last year that left more than 200 people dead, and a series of devastating attacks by the Islamic State group and Kurdish militants. But opponents fear the changes will lead to autocratic one-man rule, ensuring that the 63-year-old Erdogan, who has been accused of repressing rights and freedoms, could govern until 2029 with few checks and balances. The ballots themselves did not include the referendum question — it was assumed to be understood. Voters used an official stamp to select between "yes" and "no." At one Istanbul polling station, eager voters lined up outside before it opened at 8 A.M.
"I don't want to get on a bus with no brake system. A one-man system is like that," said Istanbul resident Husnu Yahsi, 61, who said he was voting "no." "Yes, yes, yes! Our leader is the gift of God to us," said Mualla Sengul. "We will always support him. He's governing so well." Erdogan first came to power in 2003 as prime minister and served in that role until becoming Turkey's first directly elected president in 2014. The war in Syria has led to some 3 million refugees crossing the border into Turkey. Turkey has sent troops into Syria to help opposition Syrian forces clear a border area from the threat posed by Islamic State militants. Meanwhile, Turkey's relations with Europe have been increasingly tense, particularly after Erdogan branded Germany and the Netherlands as Nazis for not allowing Turkish ministers to campaign for the "yes" vote among expatriate Turks.